Coal ash is generated when power plants burn coal for energy. The toxins in coal ash may put children at risk of behavioral disorders. 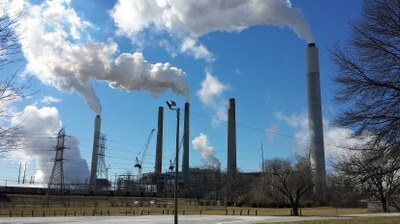 This study is important for Louisville community members because coal ash storage sites (landfills and ponds) and releases from the power plant stacks are concerns in neighborhoods surrounding local power plants. Since 2012, I have worked with the community to study coal ash and health, and many people have complained about coal ash exposure and the possible effects on the health of their children and families. My research involves conducting in-home air sampling for coal ash and metals to help us determine if coal ash is in your home. We also will test the level of metals found in your children by collecting toenail and fingernail clippings, which will inform us about long-term exposure to metals such as manganese, chromium, and lead. As the study progresses, we intend to provide community members with the results of our findings, both through direct contact with participants and through community meetings. When the study is complete, we will evaluate the relationships between coal ash and emotional and behavioral disorders such as ADHD, and neurobehavioral performance like the ability to concentrate. Read more information about the study. What you will be asked to do? The University of Louisville is an equal opportunity institution.